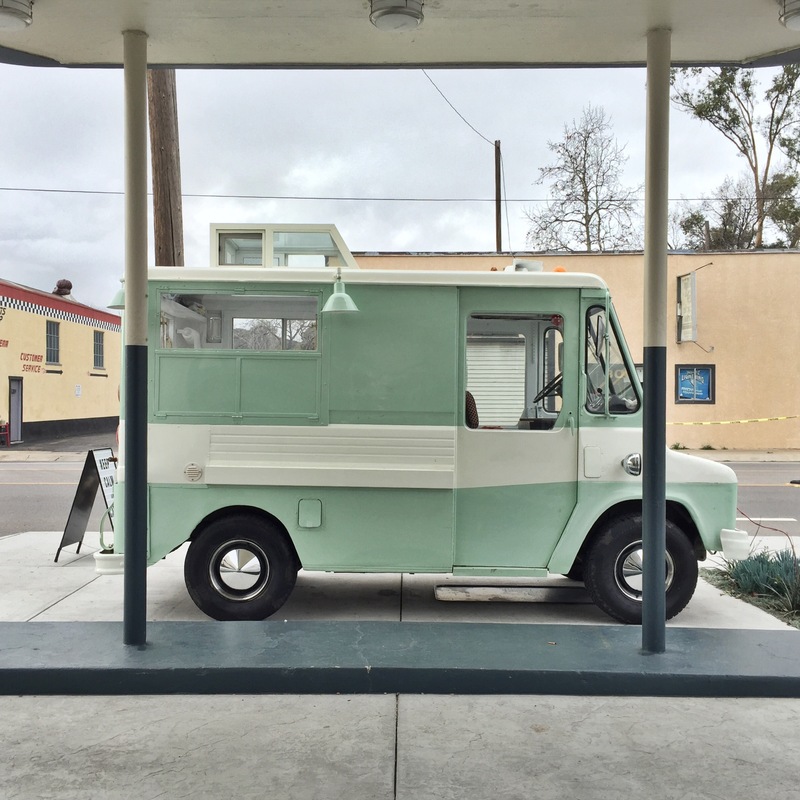 Cute Shops: New(er) SLO Stops — Oh Wonderful! Another weekend has wound down, but some of us (ahem, me!) are still on weekend-time with the three-day holiday. I sped down to San Luis Obispo the minute I sent out my last email and had Anderson Paak queued up as my evening playlist. I was set on trying new things this weekend – which manifested itself into a new hike, a new day trip (Los Olivos is a must!) and visits to new shops. There’s no shortage of small businesses in SLO and I am SO happy about it. Almost every time I visit, there’s a new store that’s opened up that has it’s own unique voice and selection of curated goods. I stumbled on these three this weekend, each of them wholly unique and completely representative of their owners. Sometimes, visiting a small business is like walking into the physical manifestation of everything someone loves. And I absolutely love that. Once upon a time an old gas station sat right off the 101 highway on Higuera Street. Then, one day, chainlink fences went up, the old gas tanks were removed, and The Station opened it’s refurbished doors to it’s carefully curated wine shop and eating space. The shop only stocks international wines (for now), which are all reasonably priced between $20-40 a bottle and are sourced from (it seems) the deepest nooks and crannies of Europe. For those who come hungry, The Station hosts a pop-up food station (last week was Brisket Pho) every Thursday and Friday. 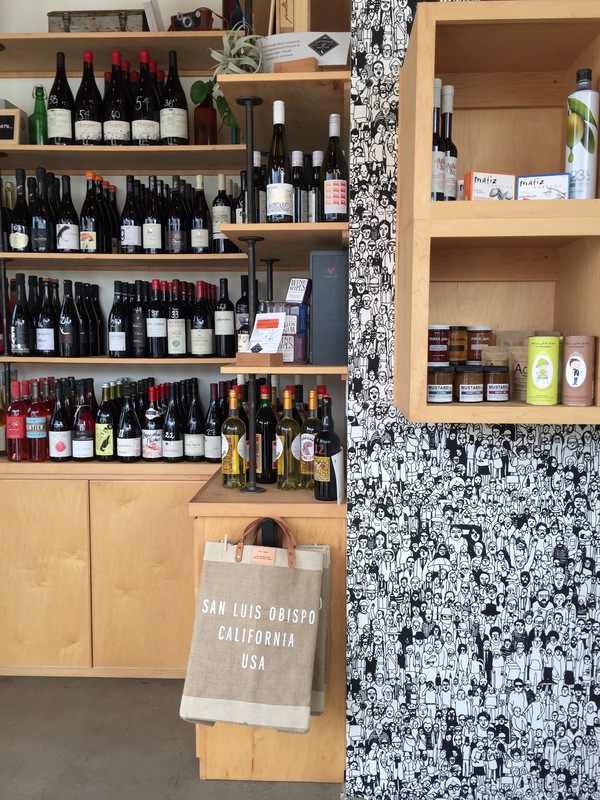 Diners and drinkers can pick up a bottle of wine to share while dining inside the old mechanic’s garage. I’ll definitely be back for more Austrian rosé! 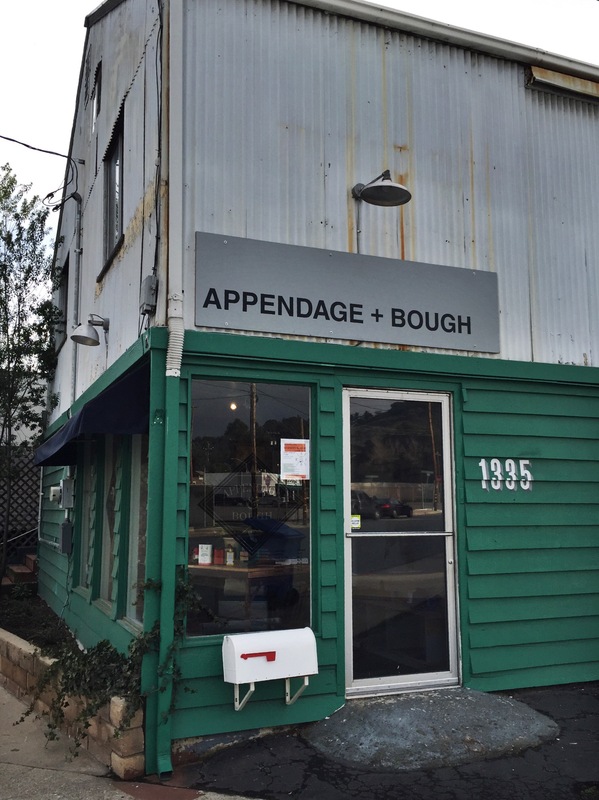 Just down the street from The Station lies Appendage + Bough, a rustic and cozy shop that’s home to Tim Beebee and Ryan Ratzlaff’s custom furniture workshop. 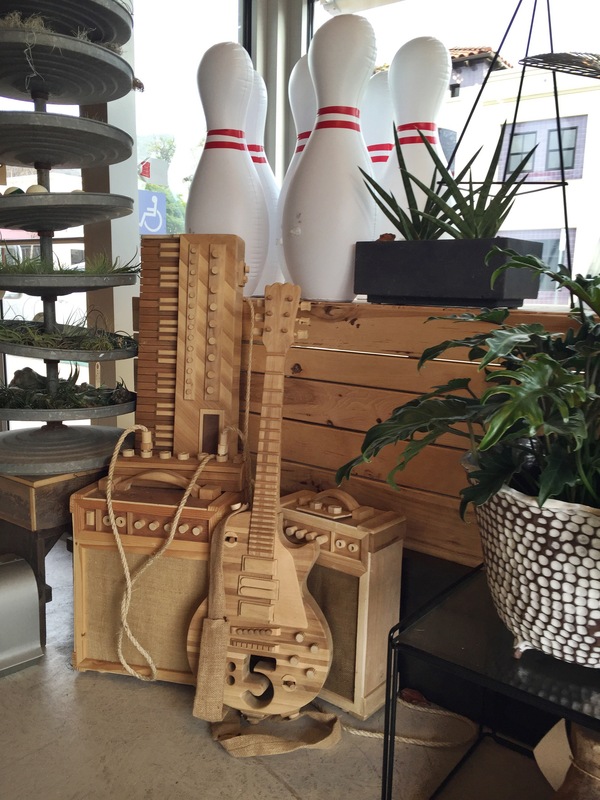 Opened in the summer of ’15, the shop is the perfect showroom for their furniture and (mostly) California-sourced wares. Looking for a handmade, reclaimed wood dining table with hairpin legs? You’re in luck. The dudes can make a very fine table, among other things. When I pulled up to Left Field, I definitely let out an audible gasp the second I saw the shelves of succulents outside their door. Located in a recently developed mini-plaza one block away from the hustle and flow of Downtown SLO, Left Field lives up to it’s name. 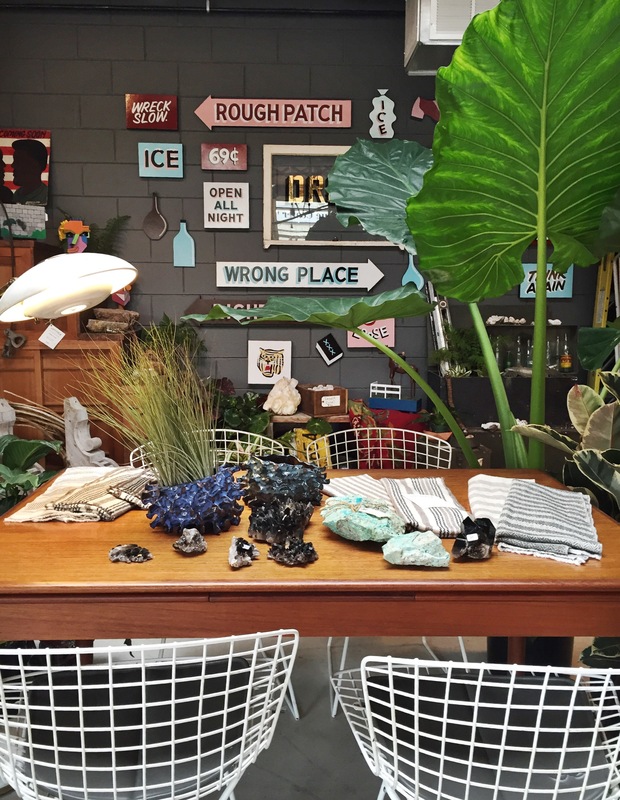 Stocking completely unexpected wares, including neon and vintage-esque signage and gemstones scattered throughout the store, this shop will make you smile, let out a soft chuckle and think to yourself, “Now where in my house can I put that?”. Pingback: An Ode to SLO – Oh Wonderful!